Whether you’re looking to volunteer or to give your life a boost of purpose and meaning, these platforms come to your rescue. We live in a world where technology plays an important aspect and connect us with new opportunities in almost every area of life. While these choices can enhance and enrich our lives, people with time, skills it also suffices our desire to do take up social causes and bring a difference to the society. But sadly, there are multiple challenges when it comes to CSR projects, be it identifying an appropriate and credible NGO, or implementing the initiatives involved, and evaluating the impact and outcomes. Witnessing the gap, there are start-ups who have taken an initiative to address the cause through its products and offerings. Many online platforms have sprung up to help individuals strategize, implement and track social causes through data-driven intelligence and interventions. Whether you’re looking to volunteer or to give your life a boost of purpose and meaning, these platforms come to your rescue. SociallyGood: World's first marketplace bringing together the main stakeholders of the Social Sector including Non-Profits, CSRs and Individuals. SociallyGood is a technology-enabled platform that makes it easier for individuals (volunteers, donors, beneficiaries and social entrepreneurs) to discover and engage with social causes of their interest. 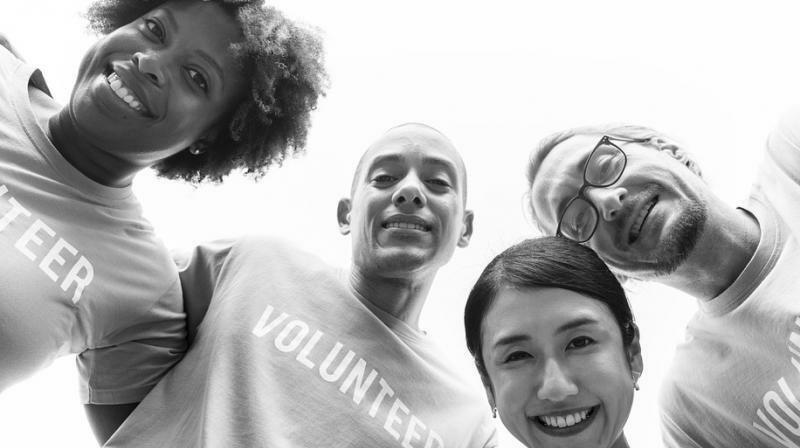 SociallyGood empowers Non-Profits to drive campaigns to attract new volunteers, and gain more donations at a lower cost. It also enables non-profits to showcase last mile impact of the various programs undertaken by them and improve transparency and reporting of outcomes. The services provided by SociallyGood are divided into three major categories; for individuals (volunteers, donors, beneficiaries), NGOs and CSR. It helps NGOs raise funds at a very low cost since they can receive donations (of amount or Kind) online from anywhere in the world, all in one place. Impactify: Impactify is a one-stop solution for Corporates’ and NGO’s CSR requirement. Offering a first-of-its-kind digital marketplace that brings together the main stakeholders of the social sector, Impactify is a for-profit social venture, it leverages advanced technologies to connect NGOs with corporates and sponsors. With over 1,000 non-profit organisations on board and data uploaded of 2,800-plus projects, it provides a platform to facilitate interaction between the stakeholders and addresses their concerns regarding the effective execution of programmes, sourcing reliable partners, monitoring the implementation, and evaluating the final impact. For the corporates, Impactify helps in channelizing their funds towards credible projects that align with their objectives while ensuring transparency of project timelines, budget estimates, and the projected impact. Samhita: A social enterprise that collaborates with corporates to develop impactful CSR initiatives, Samhita is a facilitator of multi-stakeholder associations around pressing social issues. Samhita provides consultation by laying emphasis on sector research, strategy and programme design for the CSR projects. Through its passionate efforts, Samhita has helped leading corporates across the country shape and align their social strategies, implement programmes and assess the impact. Impact Guru: Impact Guru is the largest medical crowdfunding platform in India that provides solutions to empower individuals and NGOs to raise funds for medical emergencies along with creative projects and social causes. It assists, collaborates, innovates and supports anyone who desires to use the concept of crowdfunding for a good cause. Impact Guru offers optimal online tools to drive the ‘crowd’ towards great ideas and projects, thereby serving as a useful platform for corporates to look for highly impactful projects on. Milaap: Milaap is India’s largest crowdfunding website that enables individuals and corporates from across the country to raise funds for healthcare, education, disaster relief, sports and various other causes. Milaap is leveraging the increasing digital penetration and the robust traction of digital payments to address the challenges of giving, such as difficulty in discovering the right cause, transparency and a general donor apathy. Initially incepted for rural projects and micro-entrepreneurs, Milaap is gradually paving its way to become the most preferred platform to raise funds for cancer treatments, transplants and other critical medical emergencies along with personal causes.